Southard, M. (Ed.). (2013). Perry's Chemical Engineers Handbook (M. Southard, Ed., 9th ed.). Southard, M. (2013). Interactive graphs, lectures, spreadsheets. Access Engineering. McGraw-Hill. Allen, C. Sorensen, T. Prescott, G. & Southard, M. (2007). Collaborative Design Project for Seniors in Three Engineering Disciplines. In ASEE National Meeting. Webber, G. & Southard, M. (2007). Graduate Curriculum Design for NSF Engineering Reseach Center. In ASEE National Meeting. Rytting, E. Bryan, J. Southard, M. Z., & Audus, K. L. (2006). Low-affinity Uptake of the Fluorescent Organic Cation 4-Di-1-ASP in BeWo Cells. Biochem. Pharmacol., 73, 891-900. LaFollette, T. A., & Southard, M. Z. (2005). Novel Measurement and Modeling of in Vivo Oral Drug Absorption Rate in Rats. In AIChE 2005 Annual Meeting. Southard, M. Topp, E. Camarda, K. & Siddhaye, S. (2004). Pharmaceutical product design using combinatorial optimization. Computers & chemical engineering,(3), 425–434. Siddhaye, S. Camarda, K. V., Topp, E. & Southard, M. (2000). Design of novel pharmaceutical products via combinatorial optimization. Computers & Chemical Engineering, 24(2), 701–704. Sunderam, S. Olney, B. W., & Southard, M. Z. (1998). Evaluation of Surgical Limb Lengthening Through Radiographic Absorptiometry. In Proceedings of the Annual Biochemical Engineering Symposium, University of Colorado at Boulder (pp. 123–125). Sunderam, S. Souder, F. R., & Southard, M. (1997). Oxygen Transport and Mixing Considerations for Microcarrier Culture of Mammalian Cells in an Airlift Reactor. In Proceedings of the Annual Biochemical Engineering Symposium, University of Colorado at Boulder (pp. 164–173). Rigney, M. L., Liew, M. H., & Southard, M. Z. (1996). Effects of Cyclic Shear Stress on Mammalian Cells Under Laminar Flow Conditions: Apparatus and Methods. Twenty-Sixth Annual Biochemical Engineering Symposium September 21, 1996, 174. Neervannan, S. Southard, M. Z., & Stella, V. J. (1994). Dependence of dissolution rate on surface area: is a simple linear relationship valid for co-compressed drug mixtures? Pharmaceutical research, 11(10), 1391-5. Neervannan, S. Dias, L. S., Southard, M. Z., & Stella, V. J. (1994). A convective-diffusion model for dissolution of two non-interacting drug mixtures from co-compressed slabs under laminar hydrodynamic conditions. Pharmaceutical research, 11(9), 1288-95. Neervannan, S. Reinert, J. D., Stella, V. J., & Southard, M. Z. (1993). A numerical convective-diffusion model for dissolution of neutral compounds under laminar flow conditions. International journal of pharmaceutics, 96(1), 167–174. Stenken, J. A., Topp, E. M., Southard, M. Z., & Lunte, C. E. (1993). Examination of microdialysis sampling in a well-characterized hydrodynamic system. Analytical chemistry, 65(17), 2324-8. Southard, M. Z., Green, D. W., Stella, V. J., & Himmelstein, K. J. (1992). Dissolution of lonizable Drugs into Unbuffered Solution: A Comprehensive Model for Mass Transport and Reaction in the Rotating Disk Geometry. Pharmaceutical research, 9(1), 58–69. Southard, M. Z., Green, D. W., Stella, V. J., & Himmelstein, K. J. (1992). Dissolution of ionizable drugs into unbuffered solution: a comprehensive model for mass transport and reaction in the rotating disk geometry. Pharmaceutical research, 9(1), 58-69. Southard, M. Z., Dias, L. J., Himmelstein, K. J., & Stella, V. J. (1991). Experimental determinations of diffusion coefficients in dilute aqueous solution using the method of hydrodynamic stability. Pharmaceutical research, 8(12), 1489-94. Southard, M. Z. (1989). Transport mechanisms of sparingly soluble acid dissolution in aqueous solutions of variable pH. University of Kansas, Chemical and Petroleum Engineering. Aunins, J. G., Southard, M. Z., Myers, R. A., Himmelstein, K. J., & Stella, V. J. (1985). Dissolution of carboxylic acids. III: The effect of polyionizable buffers. Journal of pharmaceutical sciences, 74(12), 1305-16. Southard, M. Z., Green, D. W., & Willhite, G. P. (1984). Kinetics of the Chromium (VI)/Thiourea Reaction in the Presence of Polyacrylamide. SPE Enhanced Oil Recovery Symposium. Southard, M. Z. (1983). A Kinetic Study of the Reaction Between Chromium (vi) and Thiourea at 80° C in the Presence of Polyacrylamide. 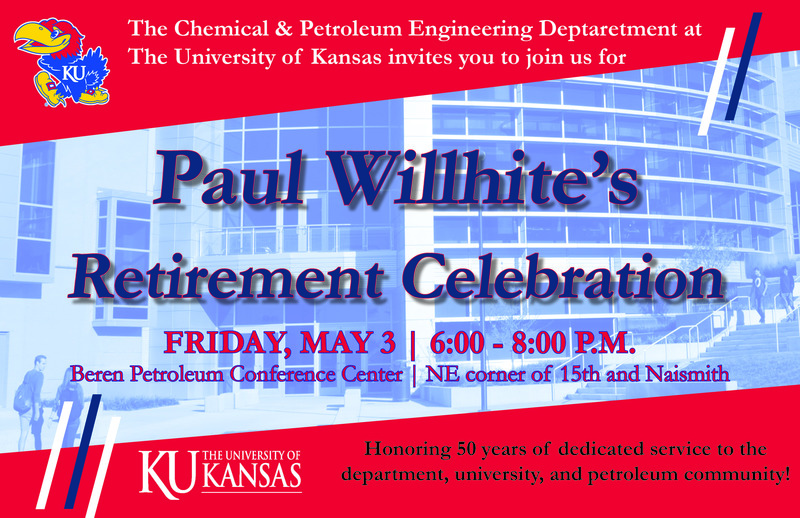 University of Kansas, Chemical and Petroleum Engineering. Marylee Southard's research interests are in the design and analysis of chemical transport processes, specifically those in which bioactive agents are released. This research area is multidisciplinary in nature because workers in other disciplines usually define the chemical of interest and the problems associated with its movement. Her usual role (and interest) in a collaborative venture is to analyze mathematically the desired and/or existing mode of release and to design a novel means of achieving or altering that mode. Numerical methods and software are used as tools to simulate chemical transport in diverse types of tissue, across membranes and other barriers. Cellular growth, metabolism and carrier-mediated uptake are also simulated mathematically to mimic the in vivo environment. Simulation of behavior in a given environment allows collaborators to optimize of the number of experiments required to design an optimal chemical formulation or diagnostic device. Dr. Southard's ultimate goal in this work is to enhance understanding of biological processes as related to drug therapies, disease states, and pathological conditions. Her funding has come from federal, state and industrial sources. Chakrabarti, S. and Southard, M.Z. "Control of Poorly Soluble Drug Dissolution in Conditions Simulating the Gastrointestinal Tract Flow. I: Effect of Tablet Geometry in Buffered Medium", J. Pharm. Sci. 1996, 85, 313-319. Patent: "Totally Degradable Starch/Polymer Matrices for Controlled Release", U.S. patent no. 5,565,407; issued October, 1996. Chakrabarti, S. and Southard, M.Z. "Control of Poorly Soluble Drug Dissolution in Conditions Simulating the Gastrointestinal Tract Flow. II: Co-compression of Drugs with Buffers", J. Pharm. Sci., 1997, 86, 465-469. Stenken, J.A., Stavle, L., Southard, M.Z. and Lunte, C.E., "Factors that Influece Microdialysis Extraction Efficiency. II. Teoretical and Experimental Evaluations", J. Pharm. Sci., 1997, 86, 958-966. Rao, V.M., Lin, M., Larive, C.K. and Southard, M.Z. "A Mechanistic Study of Griseofulvin Dissolution into Surfactant Solutions under Laminar Flow Conditions", J. Pharm. Sci., 1997, 86, 1132-1138. Stenken, J.A., Stavle, L., Lunte, C.E. and Southard, M.Z.., "Monitoring in stu Liver Metabolism in Rats using Microdilysis. Comparison of Microdialysis Mass-Transport Model to Experimental Metabolite Generation Data", J. Pharm. Sci., 1998, 87, 311-320.